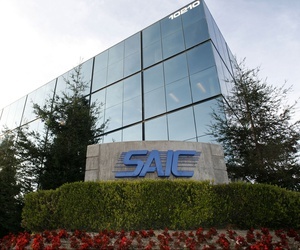 SAIC is a premier technology integrator solving our nation's most complex modernization and readiness challenges across the defense, space, federal civilian, and intelligence markets. 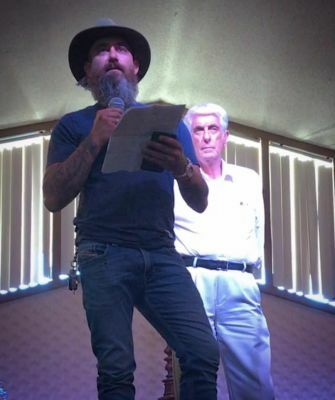 The standing theory is that this is the company tied to the non-lethal testing of exotic advanced military technology both on the Skinwalker Ranch and throughout the Unitah Basin. The "predator" like incident that was discussed in Hunt For The Skinwalker was assumed to be utilizing their technology. This secretive government contracting company's name has commonly been associated with Skinwalker Ranch throughout the years. Several of my inside Skinwalker Ranch contacts are familiar with this company and refuse to go into detail when pressed. My top source for information has always told me that their is a 3rd party "rogue military group" (not associated with the DIA) that is surveying Skinwalker Ranch and the phenomona within. All evidence to date points to this company as that elusive enigmatic group. D.O.D. / Department of Defense / D.I.A. This agency has been identified as providing funding via a research grant with Bigelow Aerospace for Skinwalker Ranch. We are unable and unwilling to provide evidence to support this claim. This funding was provided with the oversight of a unnamed high level politician, and several military advisors. Currently the understanding is that the agency has withdrawn funding, but will reallocate in the future. On a side note, three high ranking military officials have frequented the property on more than one occasion. One of these officers was a three star general and a CIA representative. The branch of the military that the general represents is unknown as well as his identity. However what is known is that a faction of the US government does fund research and security activity in conjunction with Bob Bigelow on the Ranch. Contact: its a black project and going to remain that way! The Advanced Aerospace Weapon System Applications Program (AAWSAP) Program Manager, at the Defense Intelligence Agency (DIA) was one James T Lacatski, D. Eng. Has a doctorate in Nuclear Engineering. Was Luis Elizondo's boss. 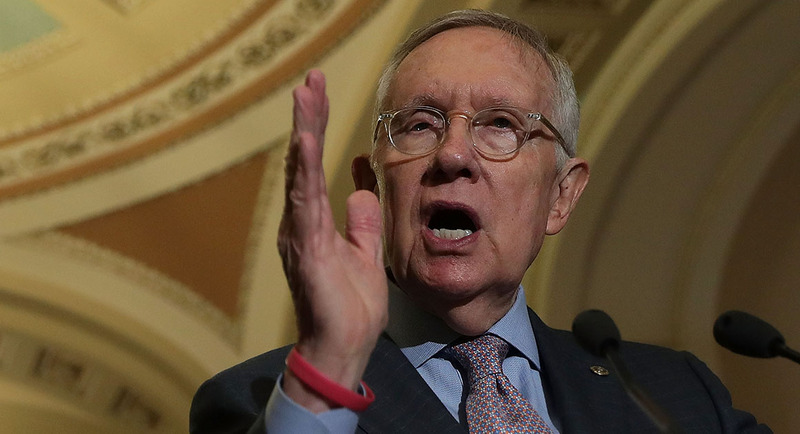 Senate Majority Leader Harry Reid (D-Nev) initiated the Skinwalker Ranch study program through an 22 million dollar earmark after he was persuaded in part by aerospace titan and hotel chain founder Bob Bigelow. Luis Elizondo is the secretive man behind the Advanced Aerospace Threat Identification Program, a Department of Defense program aimed at researching UFO sightings. 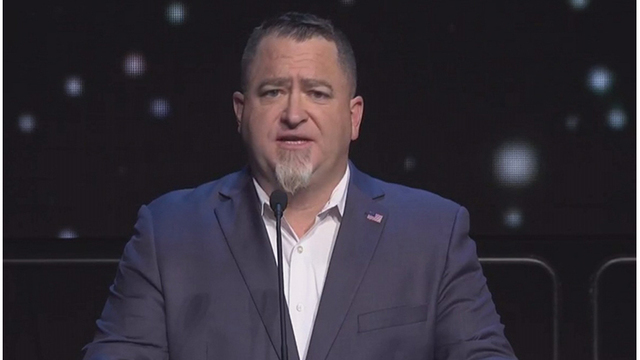 Elizondo recently resigned from the Department of Defense and came forward with two compelling videos, just as he joined Tom DeLonge’s new UFO research company, To the Stars Academy. But despite how likely some people will be to take these new reports lightly, they shouldn’t. Elizondo has more than 22 years of experience with the DoD, including covert operations. Bigelow shies from media attention, refusing to have photos taken by or for the press, and also denies television interview requests as well. As unbelievable as it might seem for an entrepreneur in the modern world, Bigelow also says he has never sent an e-mail. In his book Reading the Enemy's Mind, remote viewer Paul Smith relates that in 1992 Robert Bigelow put the wheels in motion for a radio show on the paranormal, called Area 2000, hosted by Art Bell and featuring reports from George Knapp (whom Bigelow has had a long association with - Knapp was given an exclusive to the Skinwalker Ranch story, and also has covered the Bigelow space efforts) and Linda Moulton Howe. While Bigelow later withdrew sponsorship of the show, Art Bell continued with it and it later evolved into the massively popular Coast to Coast AM. Over the past decade, Robert Bigelow has continued his backing of paranormal research. He created the National Institute of Discovery Science (NIDS) in 1995 to investigate border phenomena, stocking the advisory board with some of the leading lights in the field such as Jacques Vallee, Hal Puthoff, Melvin Morse and Edgar Mitchell. Employees of the organization were generally PhD scientists, as well as some former FBI field investigators and law-enforcement professionals. The NIDS website provides news and investigations into such wide-ranging topics as 'Black Triangle' sightings, cattle mutilations, consciousness studies and crop circles. NIDS was put into 'in-active' status in 2004 due to a lack of worthwhile cases to investigate. In March 2009 Bigelow concluded a deal with the Mutual UFO Network to train a special rapid response team of Field Investigators able to be deployed within 24 hours to the scene of a major 'physical trace' UFO event (Category 2 or 3 in the classification system devised by researcher Jacques Vallee). Bigelow - through NIDS - also bought the 'Skinwalker Ranch' in Utah where residents had reported UFO sightings, cattle mutilations and paranormal experiences. After the ranch shot to national news prominence, he flew to Utah and met with the owners, offering to buy the ranch for about $200,000. He staffed it with a full-time veterinarian and two scientists to monitor the strange activity (the account can be found in Hunt for the Skinwalker). It is believed that he still owns the ranch. ...when I was probably around 8 or 9. I began to hear the stories about members of my family that had had a couple of very good sightings, and one was a close encounter. They didn't see actually living creatures. What they saw was an object that they thought was an airplane on fire at first. They stopped their car; it was nighttime and the object was coming right for them. And it grew bigger and bigger in a very short time, a matter of maybe seconds, until it filled up the windshield. Then they realized it wasn't an airplane on fire; they didn't know what it was. Their car was stopped on the side of the road in a remote location at night and they thought they were dead -- until, at the last second before impact, it made a right-angle turn and zipped out of sight. And I remember how shook up they were. Even in telling me years later, they had a very serious look on their face. Bigelow also funded the UNLV Bigelow Chair of Consciousness Studies at the University of Nevada, which is dedicated to the "rational investigation of the mysteries of human awareness, including the possibility of the persistence of consciousness after death." He is a member of the Board of Directors of the Rhine Research Center (formerly, The Foundation for the Study of the Nature of Man), and is an associate member of the Society for Scientific Exploration. We believe Colm to be a much more major player than what is portrayed in the book. Confirmed by Ryan Layton, Alien Dave and other sources. Colm Kelleher is a senior research scientist with a twenty-year career in cell and molecular biology. 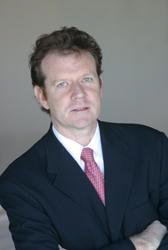 Following his PhD in biochemistry from the University of Dublin, Trinity College in 1983, Dr. Kelleher worked at Canada's flagship Ontario Cancer Institute, the Terry Fox Laboratory at the British Columbia Cancer Research Center in Vancouver and the National Jewish Center for Immunology and Respiratory Medicine in Denver. More recently, Dr. Kelleher served as Research Director for Bigelow Aerospace in Las Vegas and as administrator for one of its subsidiaries, Space Sciences, Inc.
Dr. Kelleher also acted as team leader and project manager for the National Institute for Discovery Science (NIDS). 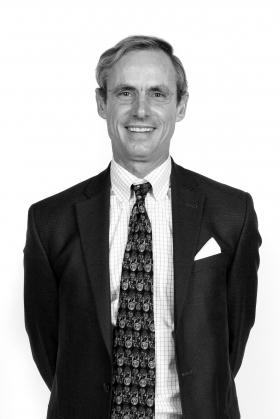 Currently, Dr. Kelleher is the Director of Labs for a biotechnology firm in San Francisco. He has authored 38 peer reviewed publications in molecular biology, immunology, biochemistry and virology as well as articles in popular magazines such as OMNI. Born 6/20/36. BS and MS in electrical engineering from the University of Florida. After graduating, Puthoff served in the Army on duty with the NSA at Fort Meade, Maryland. There, he worked as an engineer with Project Light, which studied fiber optics, lasers, and high-speed computers (very cutting edge at the time). After leaving, he invented the tunable infra-red laser. According to author Jim Schnabel (and confirmed by Dr. Puthoff), he served at the NSA in the early 1960's during his tour with the Navy, not the Army as McRae reported above, and later stayed on as a civilian. Joined SRI in 1971 as a specialist in laser physics. Worked for the previous eight years in the Microwave Laboratory at Stanford University. Served as an officer in the Navy from 1960-63 at Ft. Meade. Head of the SRI remote viewing program, 1972-85. After he left, Puthoff was replaced with Ed May. Former Naval Intelligence Officer. "Dr. Puthoff's professional background includes engineering work at General Electric and Sperry; three and a half years with the U.S. Department of Defense, where his work on high-speed opto-electronic computers resulted in the award of a DoD Certificate of Commendation for Outstanding Performance; post-doc appointments at Stanford University as Research Associate, Ginzton Laboratories, and Lecturer, Dept. of Electrical Engineering; Director of the Cognitive Sciences Program at SRI International for over a decade, where he was responsible for large-scale, innovative, government-funded research programs; and, since 1985, Director of the Institute for Advanced Studies at Austin. "Puthoff regularly serves various government agencies, the Executive Branch and Congress as consultant on leading-edge technologies and future technology trends; is a member and officer of several professional organizations (NY Academy of Sciences, Amer. Assoc. for the Advancement of Science, Amer. Physical Soc., Soc. for Scientific Exploration); is listed in American Men and Women of Science, Who's Who in Science and Engineering, Who's Who in the South and Southwest and in Who's Who in the World; and has been designated a Fetzer Fellow (1991)." He is claimed to have been at OT (Operating Thetan) Level III with the Church of Scientology at the time of the experiments. He wrote the preface to Scientology: a Religion, and was married in a Scientology church. "Puthoff says his involvement with the church more than a decade ago was casual." Puthoff joined the Church in the 1960s, and left in the mid-1970s. After leaving, he lent support to a group that criticized the Church. It was during an LA training seminar that he met Pat Price, who later worked at SRI. According to Peter Tompkins and Christopher Bird, in The Secret Life of Plants, while at SRI, Puthoff did experiments with chicken eggs. Using an e-meter (invented by L. Ron Hubbard and used in the practices of Scientology), he attempted to see if an egg would react if another was broken nearby. Since the early 1970s, Puthoff had been a part-time, paid consultant to Bill Church regarding alternative fuel sources. At Puthoff's urging, Church developed a company, Jupiter Technologies, to research zero-point energy. In the summer of 1985, after giving only two weeks notice, Puthoff left SRI to work for Church full time. Currently with the Institute of Advanced Studies at Austin, 4030 W Braker Ln, Suite 300, Austin, TX 78759, and president of Earthtech International at the same address here for Earthtech's home page. His current work is involved with quantum physics, zero-point energy, and electrogravitics. Puthoff is working with Robert Bigelow and his National Institute of Discovery Science. He posted a NIDS mission statement on USENET in March, 1996. Current "National Security Affairs Advisor" to the Stars Academy. He served 20 years in the federal government, including as the Deputy Assistant Secretary of Defense for Intelligence in the Clinton and Bush Administrations. In addition, he’s worked many years on Capitol Hill including as the Minority Staff Director of the Senate Select Committee on Intelligence. As an aide to Senator William S. Cohen, he drafted the legislation that established the US Special Operations Command. He is the author of numerous articles on politics and national security, and the recipient of multiple awards from the Department of Defense and agencies of the US Intelligence Community. He holds a B.A. in economics from Colby College and an M.A. in international affairs from Yale University. Dr. Scott Lohrke Project/Duties: Lead biological senior scientist at BAASS. The primary duties involve responsibility for the development of laboratory capabilities for the evaluation of novel aerospace technologies including novel materials and propulsion systems for possible detrimental effects on humans and the environment. Additional duties involve the development of research protocols and techniques in support of ongoing research projects and oversight of daily science operations, which includes supervision of BAASS technicians. Current manager/caretaker of Skinwalker Ranch after the sale from Robert Bigelow. Mr. Morse is a builder and real estate developer with over 40 years of experience. Mr. Morse began investing in real estate after an honorable discharge from the United States Air Force in 1973. That same year he began to study for a BA in real estate finance/ construction, completing his degree in 1976. Vallee has recently been seen on Skinwalker Ranch and is considered to be a key player in directing the new owners research. 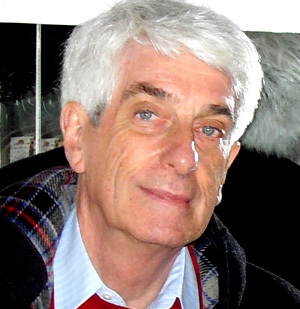 Another key player at NIDS is none other than Dr. Jacques Vallee, Ph.D. Did you ever see the 1977 film, "Close Encounters of the Third Kind"? Actor François Truffaut essentially portrayed Dr. Vallee in a fictional depiction, as the character Claude LaCombe. He is well renowned in Ufology circles as one of the leading scientific researchers of our time on the subject. Dr. Vallee studied the UFO phenomenon throughout the 1960s and 1970s, alongside his mentor, Dr. J. Allen Hyneck. 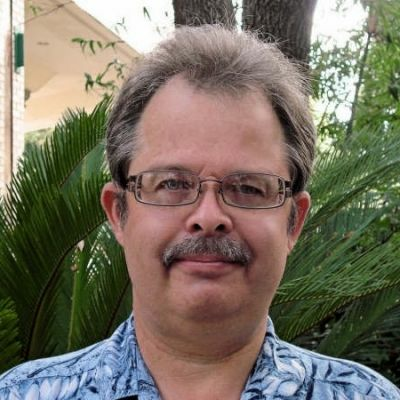 He's written several books on the subject, and Dr. Vallee's quite respectable list of other accomplishments includes the fields of mathematics, astrophysics, computer science, artifical intelligence, and venture capitalism. His list of previous employers include NASA, McDonald Douglas, The University of Texas at Austin, and The Paris Observatory. George Knapp (born April 18, 1952 Woodbury, New Jersey) is an American investigative journalist. He grew up in Stockton, California where he graduated from Franklin High School and was the senior class president. 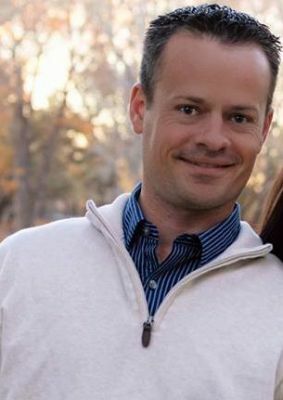 Knapp lives in Las Vegas, Nevada and works for KLAS-TV. George is also a frequent host of the Sunday Night / Monday morning Coast To Coast AM syndicated radio show - he is known for his work on anomalous phenomena, which is a frequent topic of the Coast to Coast show. In the late 1980s, Knapp reported the story of Bob Lazar (who claimed to have worked on extraterrestrial UFOs at the secretive Area 51). In 1991, Knapp left KLAS to work for Altamira Communications, a public relations firm whose clients included advocates of the Yucca Mountain nuclear waste repository 90 miles north of Las Vegas. He was rehired by KLAS-TV in the mid 1990s when he left the public relations firm. He wrote a regular column titled "Knappster" for the now-defunct alternative newsweekly Las Vegas Mercury. Education: BGS in Sociology, University of Nebraska, 1971. MA in Education, Pepperdine University, 1975. PhD in Education, Walden University, 1980. Postgraduate work at UCLA (1990), MIT (1991), and Harvard (1993). Entered the Army as a Private in 1956, and retired as a Colonel in 1988.Commander, Army Special Forces Teams, US Army, Thailand, Vietnam, 1966-69. Chief of human resources division, US Army, Ft. McPherson, GA, 1977-79. Inspector general, Department of Army, Washington, 1980-82. Chief of human technology, Army Intelligence Command, US Army, Arlington, VA 1982-83. Manager of tech. integration, Army Materiel Command, US Army, Alexandria, VA, 1983-85. Director, advanced concepts US Army Lab. Command, Aldelphi, MD 1985-88. Manager, non-lethal weapons defense technology, Los Alamos National Laboratory, 1988-1995 (ret). Manager, anti-material technology, Defense Initiatives Office, 1988-91. Program manager, contingency mission technology, Conventional Defense Technology. Director for science liaison, National Institute for Discovery Sciences, 1995 to present. Visiting scientist, Los Alamos, 1995 to present. Panelist, National Institute of Justice, 1994. Adj. professor, Graduate School, Union Institute, 1992 to present. US delegate to NATO, advanced group aerospace R & D, 1994 to present. Col. Alexander received a National Award for Volunteerism from Pres. Ronald Reagan in 1987, and the Aerospace Laureate Award from Aviation Week in 1993 & 94. He lives in Las Vegas with his wife, Victoria Lacas Alexander, and two children. His office address is that of NIDS: 1515 E Tropicana, Suite 400, Las Vegas, NV 89119. Formerly with the U.S. Army Intelligence & Security Command (INSCOM) under Gen. Albert Stubblebine, 1982-4. Reportedly, Alexander was one of Stubblebine's closest officers. Married to alien abduction researcher Victoria Lacas (now Alexander). 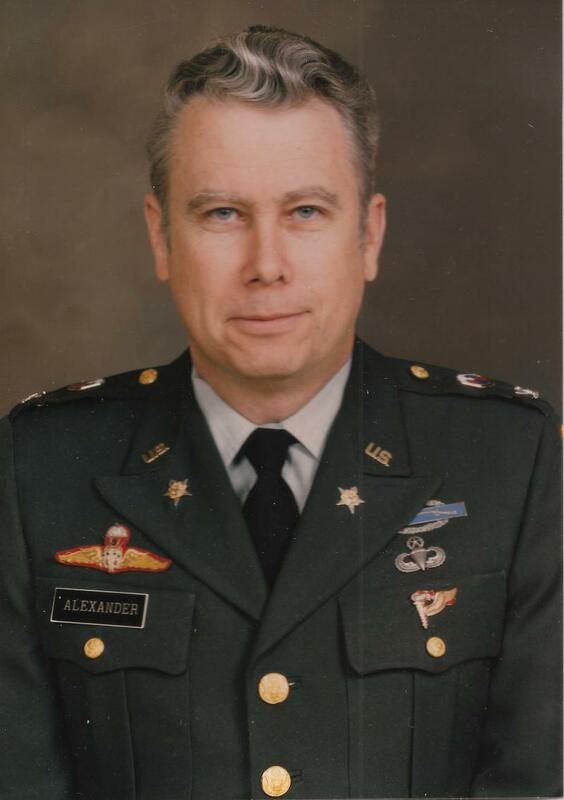 "After retiring from the Army in 1988, Alexander joined the Los Alamos National Laboratories and began working with Janet Morris, the Research Director of the U.S. Global Strategy Council (USGSC), chaired by Dr Ray Cline, former Deputy Director of the CIA." "Born in New York in 1937, he spent part of his career as a Commander of Green Berets Special Forces in Vietnam, led Cambodian mercenaries behind enemy lines, and took part in a number of clandestine programmes, including Phoenix. He currently holds the post of Director of Non-lethal Programmes in the Los Alamos National Laboratories." "In 1971, while a Captain in the infantry at Schofield Barracks, Honolulu, he was diving in the Bemini Islands looking for the lost continent of Atlantis. He was an official representative for the Silva mind control organization and a lecturer on Precataclysmic Civilizations. Alexander is also a past President and a Board member of the International Association for Near Death Studies; and, with his former wife, Jan Northup, he helped Dr C.B. Scott Jones perform ESP experiments with dolphins." "Alexander is a friend of Vice President Al Gore Jnr, their relationship dating back to 1983 when Gore was in Alexander's Neuro-Linguistic Programming (NLP)." "Alexander and his team have recently been working with Dr Igor Smirnov." "The mysterious 'Col. Harold E. Phillips' who appears in Blum's OUT THERE is none other than John B. Alexander." "As late as the summer of 1991, [C.B. Scott] Jones and [Rima] Laibow were planning a yachting excursion together with Col. John Alexander ... to investigate anomalies in the Bahamas." "I have served as chief of Advanced Human Technology for the Army Intelligence and Security Command (1982-84) and, during the preparation of the EHP [Enhancing Human Performance] Report, was director of the Advanced Systems Concepts Office at the U.S. Army Laboratory Command." Alexander is friends with Gordon Novel, and (according to Cannon) Alexander passed a threat through his wife to researcher Martin Cannon, using Novel's name for intimidation. 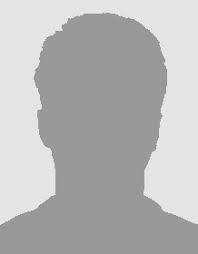 Reportedly friends with Ron Pandolfi. Alexander is closely associated with Robert Bigelow and his National Institute for Discovery Science. Also identified as being with the Appolinaire Group. After his military retirement, he worked at Los Alamos National Laboratory, where he developed the concept of Non-Lethal Defense, which he briefed to senior defense, industry and academic officials. Politically, his work involved meetings with Members of Congress, White House and National Security Council staff, and the Director of Central Intelligence. He has considerable experience working with classified programs dealing with many esoteric arenas. He currently is the science director for a private research organization in Las Vegas, NV. Col Alexander is a director on the board of the International Remote Viewing Association. A sister company to Bigelow Aerospace, is a research organization that focuses on the identification, evaluation, and acquisition of novel and emerging future technologies worldwide as they specifically relate to spacecraft. BAASS is headquartered in Las Vegas, Nevada. We are seeking experienced scientists to join our research teams. If you are an inquisitive outside of the circle thinker, who is detail oriented and looking for a challenge, this is a unique and exciting opportunity to advance your career and be a part of cutting edge research. Bigelow Aerospace is a North Las Vegas, Nevada space technology startup company that is pioneering work on expandable space station modules. It was founded in 1999 by hotelier Robert Bigelow. An expandable module is a space structure that has a flexible outer shell, allowing conservation of diameter for launch and weight overall. Once in orbit, the module is inflated to allow for greater work, play and living area for astronauts. Expandable modules initially were proposed and designed by the United States National Aeronautics and Space Administration (NASA) under the Transhab program. After cancellation of the Transhab program, Bigelow Aerospace entered into three Space Act agreements whereby Bigelow Aerospace is the sole commercializer of several of NASA's key expandable module technologies. Perhaps you’ve seen news stories about Bigelow Aerospace, founded by Las Vegas real estate millionaire Robert Bigelow, who made his money with his chain of Budget Suites hotels. Following a path quite different from that of other companies involved in commercial space ventures, Bigelow Aerospace has a bold plan to launch an inflatable, orbiting space station as a destination for space tourists by 2012. The company plans to offer the well-heeled tourist the opportunity for a four-week sojourn in its orbiting space station for $15 million. But unlike some space entrepreneurs whose plans never leave earth, Bigelow Aerospace has already succeeded in orbiting two of its prototype modules on Russian rockets: Genesis I in 2006 and Genesis II in 2007. These are inflatable modules with sophisticated cameras and electronic packages to demonstrate the feasibility of this unique and untried approach. As of this writing, both modules remain in orbit and continue to send back data. In 2006, Bigelow Aerospace was awarded the Innovator Award by the Arthur C. Clarke Foundation. But there is one space-related issue troubling Mr. Bigelow, one on which he feels the need to obtain, even at potentially great cost, the best counsel available: UFOs. It is not clear whether he fears that UFOs will interfere with his future orbiting hotel chain or if he believes that UFOs harbor some secrets of propulsion or anti-gravity that his engineers might someday be able to put to good use. Three high ranking military officals have frequented the property on more than one occasion. One of these officers was a three star general who visited as little as 6 months ago. 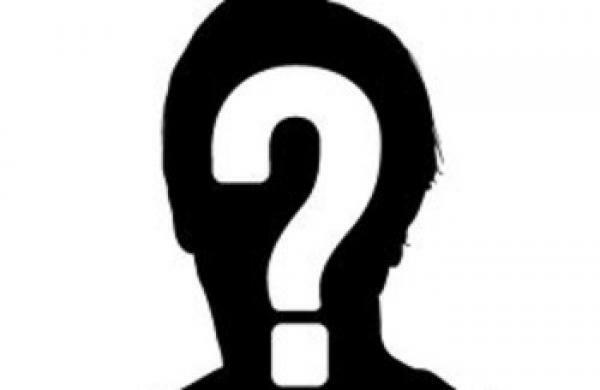 The branch of the military that he represents is unknown as well as his identity. However what is known is that a faction of the US government does fund research and security activity in conjunction with Bob Bigelow on the Ranch. Contact: its black and going to remain that way! Plays a active consultant role with the current team at Skinwalker Ranch. Has over 30 years of extensive research into the UFO phenomena in the Uintah Basin. Co authored the book The Utah UFO Display. His past and current knowledge on the topic of local paranormal makes him a key asset to understanding the Skinwalker mystery. Jeremy Kenyon Lockyer Corbell is an investigative filmmaker based in Los Angeles California. Corbell documents the ExtraOrdinary claims of credible individuals. This research has taken him into the worlds of nanotechnology, aerospace exploration, exotic propulsion systems and an in-depth examination / documentation of ufology and phenomenology. 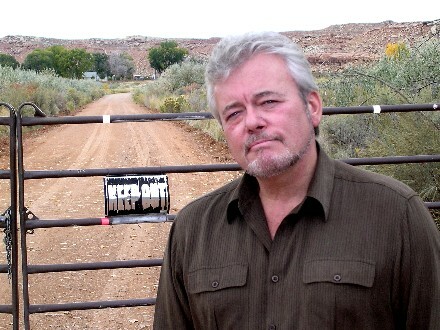 Dr. Davis was a member of Bob Bigelow's NIDS science team exploring mysterious phantasms at Utah's Skinwalker Ranch. Among the various tales of odd events is a close encounter of the telepathic kind: a report (provided to us by Dr. Davis) of total mind control -- with an embedded warning issued to the science team -- by an unknown entity. Although the details of this encounter are not known, it seems reasonable to consider that this experience provided sufficient background for Dr. Davis to win a contract to write the Air Force Research Laboratory Teleportation Physics Study. According to the abstract, the study was tasked to collect open-source information concerning "the teleportation of material objects" and also examines other exotic ET inspired ideas like zero point energy extracted from empty space and wormhole shortcuts through space and time. 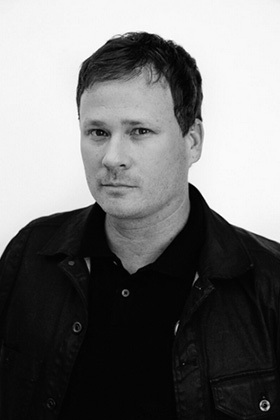 Tom DeLonge is the co-founder, President and interim CEO of To The Stars Academy of the Arts and Science. As President of the company’s subsidiary, To The Stars Inc., since 2015, he was primarily engaged within the entertainment sector. His career spans over two decades, selling over 25 million records worldwide with the bands he co-founded, Blink182 and Angels & Airwaves. Local representative / liaison to the new owner of Skinwalker Ranch. Owns Fjor Films. Possibly assisting in the future documentary on the Ranch. In 2016 he played a instrumental role in having the local public road going through the ranch property closed to the public. Former Navy pilot and astronaut. Founder of the Institute of Noetic Sciences and Edgar D. Mitchell & Associates. Involved with Robert Bigelow's National Institute for Discovery Science. Has known Andrijah Puharich since 1970, and in 1972 sponsored Uri Geller during his tests with American scientists, including the tests at SRI. Mitchell briefed then CIA director George Bush on the activities and results of the Institute of Noetic Sciences. Edgar Mitchell was the sixth astronaut to walk on the moon. What makes him interesting is a cosmic consciousness experience he has on his return flight to earth. What also makes him interesting is he straddles the world between hard science and the flakes, irritating both sides. I (Roedy Green) figure the best research pickings have to be in places where people have been too embarrassed to look. Current ranch property caretaker. Originally lived nearby the ranch and answered an ad by NIDS to oversee the ranch property. Was selected from a pool of over 10 other potential candidates. Has had countless experiences since moving into the ranchhouse and reports directly to BAASS. XXXXXXXXXXXXXXXXXXXXXXXXXXXXXXXXXXXXXXXXXXXXXXXXXXXXXXXXXXXXXXXXXXXXXXX Lives on the property with her disabled husband. Second owner of the ranch property who sold the ranch to Robert Bigelow. He may be a current caretaker of the property along with his wife Gwen Sherman. Countless paranormal events were detailed by Terry who went to the local media and broke his story. Sherman, bought the ranch from absent owners in the autumn of 1994, with the intention of raising cattle. After reputedly experiencing what they believed to be paranormal activity, and citing personal stress, the family tried to sell the ranch in 1996. The Deseret News ran a front page article of the alleged phenomena shortly afterward. John owns the property to the east of skinwalker ranch. He owns several very large and aggressive dogs so i would avoid ever approaching his property. He himself has witnessed several UFO landings and also blue orbs floating about his property. He has been a witness to such events since the 70's. Address: he's one pissed off angry curmudgeon, why contact? There are THREE ex air force military policemen working security detail around the ranch. Their presence has been noticed around 8pm until 1am (or later). Their role is to secure the boundaries around the ranch, prevent trespassing, prevent the collection of photographic or video evidence taken of the ranch by bypasses, to collect information regarding any notable paranormal events, provide security for high ranking official visits, and to perform various experiments around the ranch. Actual photo of one of the guards. The Utes were forced the by Executive Order of President Abraham Lincoln to leave their beloved, beautiful Provo Valley and relocate in the arid, bleak Uintah Basin. In 1881, another reservation, the Uncompagre Reservation was established adjacent to the Uintah Reservation and two other bands from Colorado were removed to Utah. The Utes (Tribal membership of 3,300 members) operate their own tribal government and oversee approximately 1.3 million acres of trust land. 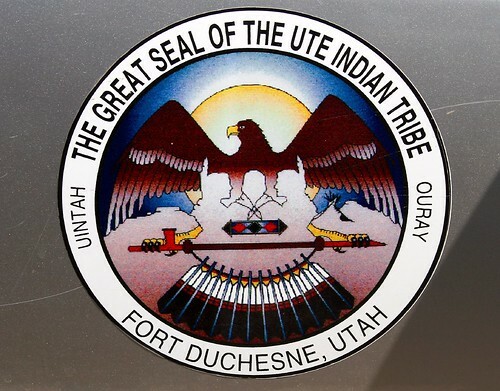 Tribal headquarters are in Fort Duchesne, Utah. The Ute Tribe is developing its resources and pursuing its own destiny in cooperation with various government entities in the Uintah Basin, including the state of Utah. Billionaire real estate investor and entrepeneur Robert Bigelow of Las Vegas, Nevada is now betting his bucks on MUFON to find valuable new knowledge about alien propulsion systems. Bigelow who has long been known to give millions of dollars to fund serious UFO research has just concluded a deal with MUFON to furnish rapid response teams of Field Investigators to be deployed within 24 hours to the scene of a major UFO event, the kind designated as Category 2 or 3 in the classification system devised by legendary UFO researcher Jacques Vallee. These are the rarer cases where either physical traces are left or physiological effects are caused in the witness. Bigelow has hired 50 top-flight scientists to assist MUFON in this endeavor to function as consultants and to do expensive lab analysis of alien materials gathered at the location of a UFO event. Bigelow, who never does anything on a small scale, a few years ago founded BAASS (Bigelow Aerospace Advanced Space Studies) with the incredibly ambitious goal of putting a commercial hotel up in orbit around the earth. He thinks that even one category 2 or 3 case if properly investigated can yield significant scientific paydirt. Whatever high-tech equipment needed by the investigators on the scene will be drop-shipped to them overnight by BAASS. These high-profile cases will be investigated using the strictest methods of scientific protocol. This is a new day for MUFON which from its inception has been a volunteer orgainization. Now its Field Investigators will be paid to do their work. Bigelow who has been known to keep his findings on the UFO subject secret has agreed per his contract with MUFON to hold nothing back from this organization that is revealed in the BAASS lab analysis of materials supplied by MUFON. This project which just launched on March 1st is code named SIP (for Star Impact Project) . It is a pilot experiment and will be reviewed on June 30th to see if it has proven successful enough to warrant funding for the rest of the year. Understandably there is a lot of excitement at MUFON Headquarters and among its membership. MUFON's stated mission is the scientific study of the UFO phenomenon for the benefit of mankind. Now with this major infusion of funds from Bigelow, it will be able to carry out this mission more efficiently and skillfully than ever before. And Bigelow possibly will get what he wants to forward his goal. How this will all work out is hard to guess. This is something that has never been tried before. They are moving into unchartered territory here. In any case, Bigelow's investing so heavily in MUFON's ability to make SIP a successful search and find operation for greater knowledge about alien technology is some extremely good PR for MUFON, and it sure will gain greater credibility in the eyes of the general public as a result. 8 years traveling around the united states investigating the paranormal. Bachelors of Science degree from New Mexico University. Pilot, web designer, business owner, and married father of 2. Countless close encounters with paranormal events both around skinwalker ranch and in other regions of the US. Due to several personal encounters I've had around the ranch that have had a PROFOUND effect on me, I'm intently interested in unraveling the truth behind this very real phenomena. t. Eric W. Davis, Ph.D.
x. Douglas P. Ferraro, Ph.D.
ee. Albert A. Harrison, Ph.D.
yy. Harold E. Puthoff, Ph.D.
aaa. Theodore (Ted) Rockwell, D.Sc. ccc. John F. Schuessler, M.S. ttt. Jim Whinnery, M.D., Ph.D.